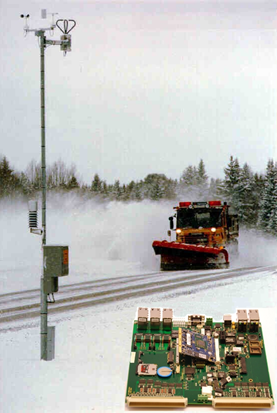 The weather measurement system NJORD is developed for field collection of weather data. The data is collected via modem or other suitable data communication, to one or more centres where the information is processed, stored and displayed. The weather measurement system NJORD is developed and designed to be stable and reliable and at the same time be very flexible with high quality, serviceability and long-lifetime (>10 years). The system will always be custom-tailored to meet the specific needs. - Communication over serial line, modem, radio, GSM/GPRS etc.